The holidays are over and now we are in that in between seasonal fashion stage. 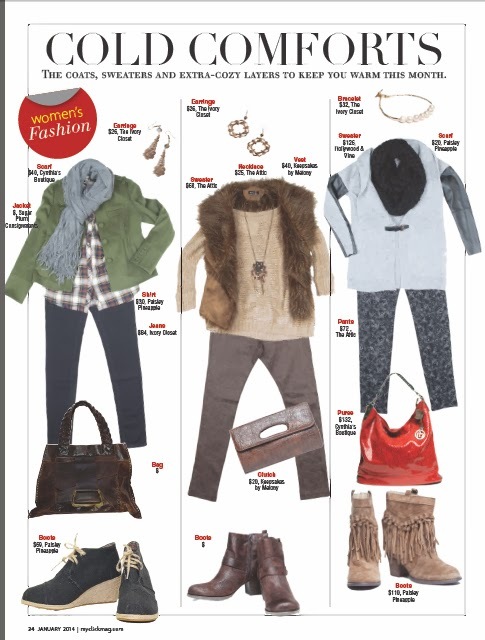 For Click’s January fashion spread, we decided to do a fashion layout with styles that are very transitional for winter’s movement into spring. 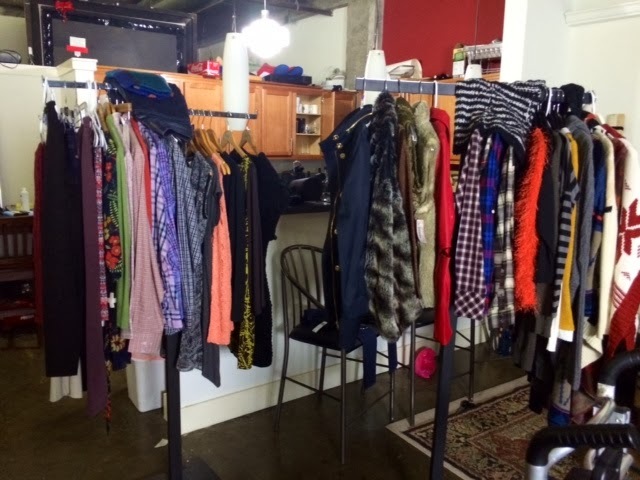 We pulled from many of the Mid-South’s hottest boutiques to compile wardrobes fit for all ages, shapes, and sizes. 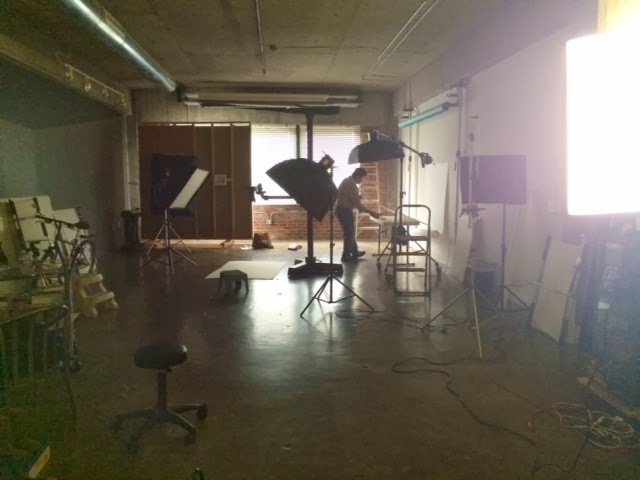 I get so excited when I come in to the studio and Maggie has the racks full of stylish threads and table layouts scattered with jewels, shoes, and handbags galore. A stylist’s dream! Instead of models for this issue, we did a fashion spread where we styled outfits using Rupert’s white screens and close shot cameras. You can see the white screens below. The cameras are located directly above the floor screen shooting directly on the garments. 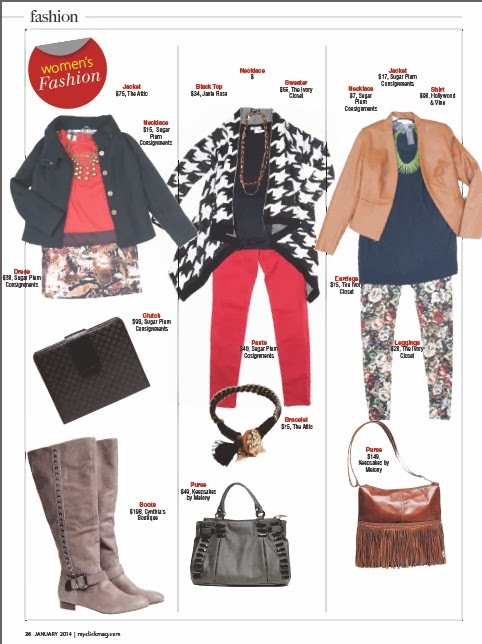 When finished, we have full outfits styled for the fashion spread! As you can see the outfits above are layered with thick, but stylish cardigans. While these are great items for the current months, every one of these outfits can lose the cardigans when it gets warmer and make a complete conversion to Spring fashion. Skinny jeans and leggings are going nowhere. Dress up your bottoms with flowy plaid tunics or light-weight, knitted, over-sized, sweaters. Floral print leggings will be a popular fashion staple for Spring 2014 wardrobes. These leggings work great with comfy jersey tunics. Finish your look with vintage pearls and matte golds to make the perfect statement to your feminine spring attire. Need help getting your closet ready for Spring? I would be happy to style your seasonal wardrobes. Click Here to schedule a complimentary personal shopping appointment or look to the right and check out The Ivory Closet and The Attic‘s social media pages to see what’s in store now.